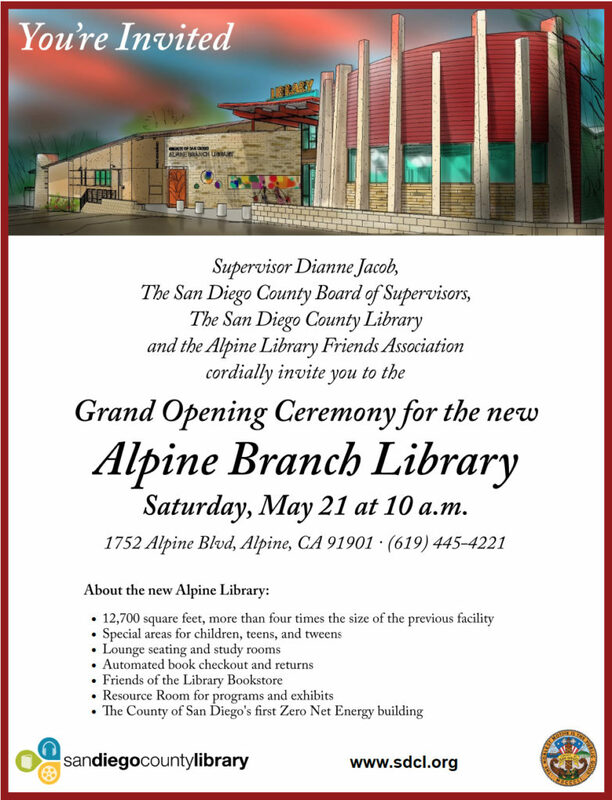 We recently completed a public art project for the new Alpine Library. Please join us on May 20th, 2016 at 10am at The NEW Alpine Library – 1752 Alpine Blvd, Alpine, CA 91901. For more information about this project please view our project portfolio here.